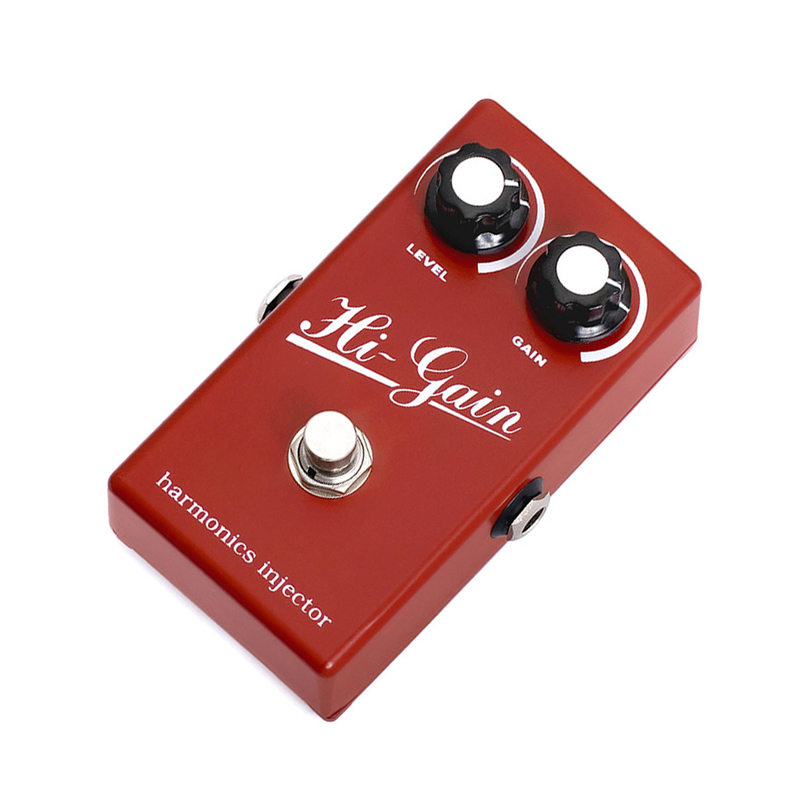 Hi-Gain Harmonics Injector is a MOSFET based distortion effect for electric guitar. With this device each note in a chord is audible, even with high levels of gain. This pedal produces an unusual tone: the upper harmonics posses a very fine grain, while the grain in the mid-range is coarser, which makes it “growl”. Dynamics are comparable to that of a tube-based effect units, giving each note definition, without a trail of mud. All this allow to bring guitar to the front of the soundstage.